There’s one sad truth about the vegan diet, and it has to do with pasta. Sure, vegans can enjoy pasta, but they can’t do so with Parmesan cheese ― and breaking up this dynamic duo is a real travesty for many of us. Luckily for anyone abstaining from animal products, vegan recipe creators are a clever bunch. 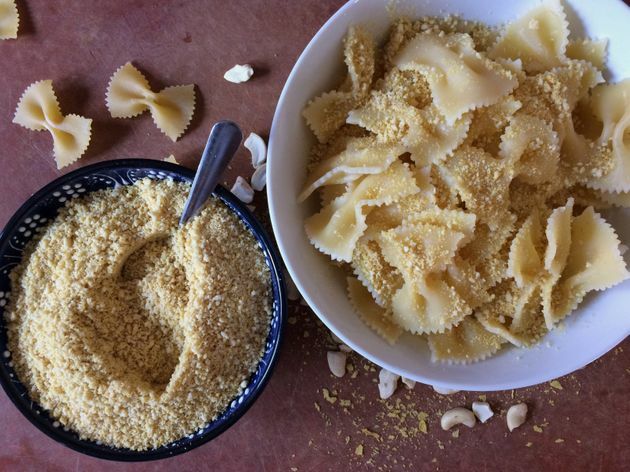 They’ve found a way to make vegan “Parmesan” cheese (we put Parmesan in quotes because we realize it’s not truly authentic Parmesan from the Parma province of Italy). We’re talking 100 percent cheese-free-Parm. This is possible with just two simple ingredients and a couple of spices. Vegan “Parm” is made up mainly of cashews ― because that’s a key ingredient in a great many vegan dishes ― and glorious, lesser-known nutritional yeast. Cashew’s natural flavor mimics the nuttiness we love in real Parmesan. And the nutritional yeast adds the cheesy taste we need. One bite and you’ll want to put it on top of everything, whether you’re vegan or not. 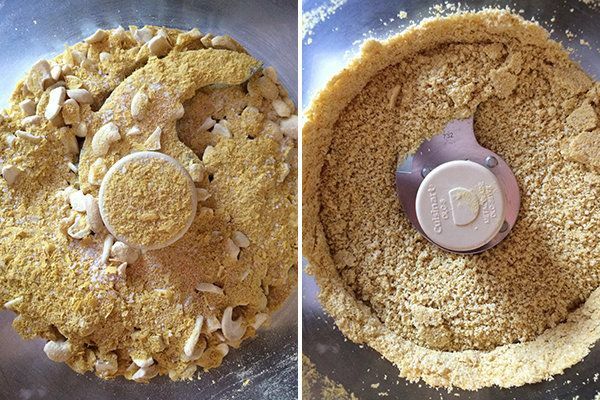 Place all ingredients into a food processor and pulse until you reach a consistent, crumb-like texture. Be careful not to pulse so long that the cashews turn into nut butter. Sprinkle on top of everything ― and when you’re not busy eating it, store this vegan cheese in an air-tight container in the fridge.